The following document describes how to install 2 different App Managers on the same Windows machine. Creation of a new folder, copying contents of existing App Manager settings and adjusting them. Setup a machine with App Manager up and running. Stop the App Manager Service. 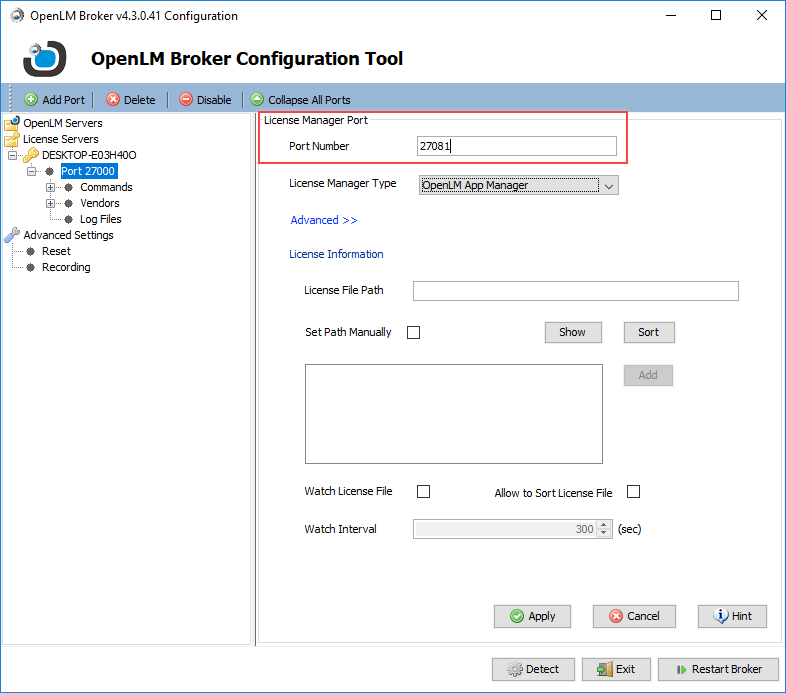 Create a new folder named OpenLM App Manager2 in C:\Program Files (x86)\OpenLM. Copy contents of C:\Program Files (x86)\OpenLM\OpenLM App Manager to C:\Program Files (x86)\OpenLM\OpenLM App Manager2. 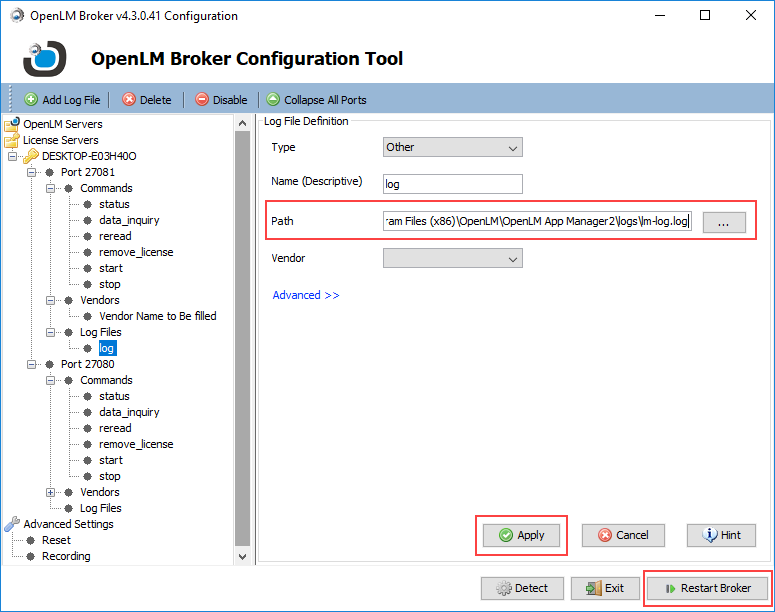 Open Openlm-app-manager.properties file in the OpenLM App Manager2 folder. 5.2 Make sure that all other settings are correct in this file. 6. 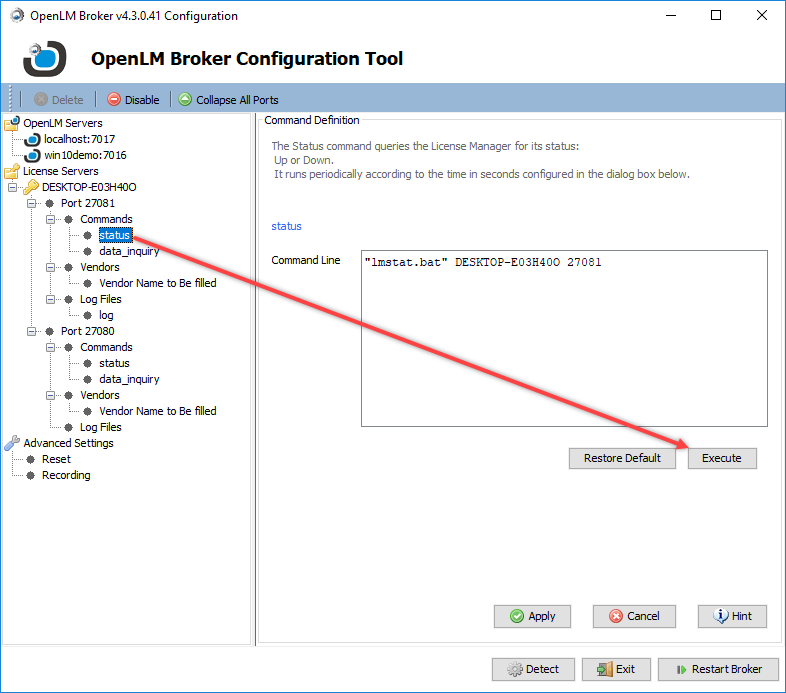 Rename OpenLMLicenseManager.exe to OpenLMLicenseManager2.exe in Bin folder. 7. 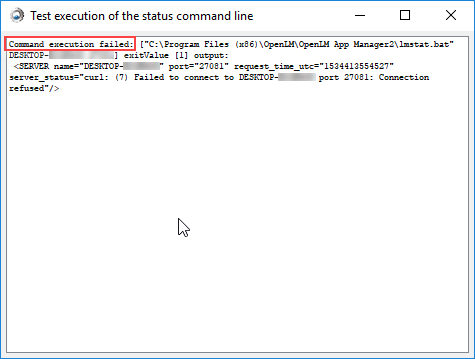 Rename OpenLMLicenseManager_x86.exe to OpenLMLicenseManager2_x86.exe. 11. Double click OpenLMLicenseManager2_x86.exe and set it to proper Java Runtime Environment.10. 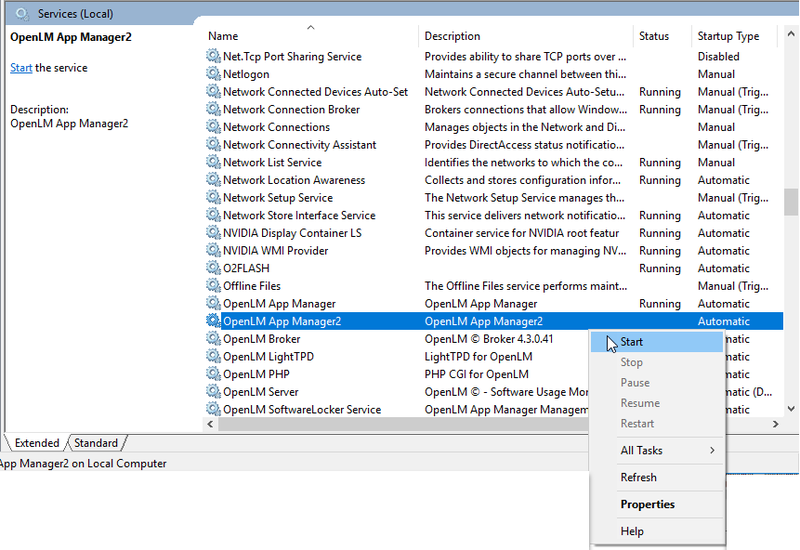 Now run the InstallService.bat file and verify if a new Service OpenLM App Manager2 was created in Windows Services. 12. 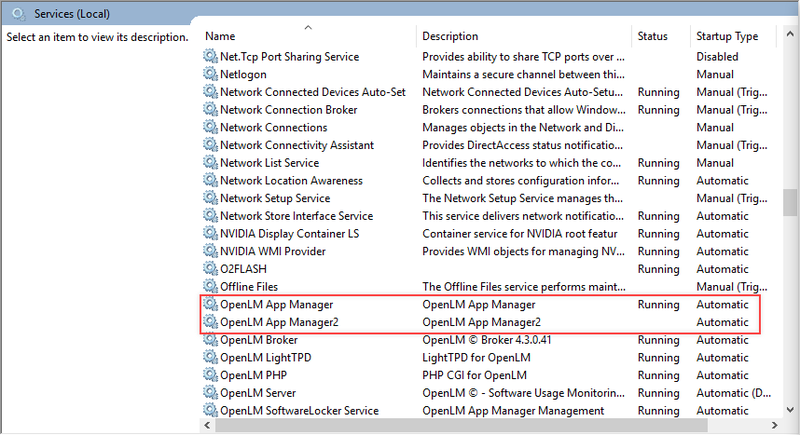 Open lmstat.bat file in the OpenLM App Manager 2 folder and set port=27080 to port=27081 (port number is set as example. The port should be the same as in step 5). 13. After these steps there will be 2 parallel App Managers with the same database. It is recommended to delete existing database for newly added App Manager. 14. 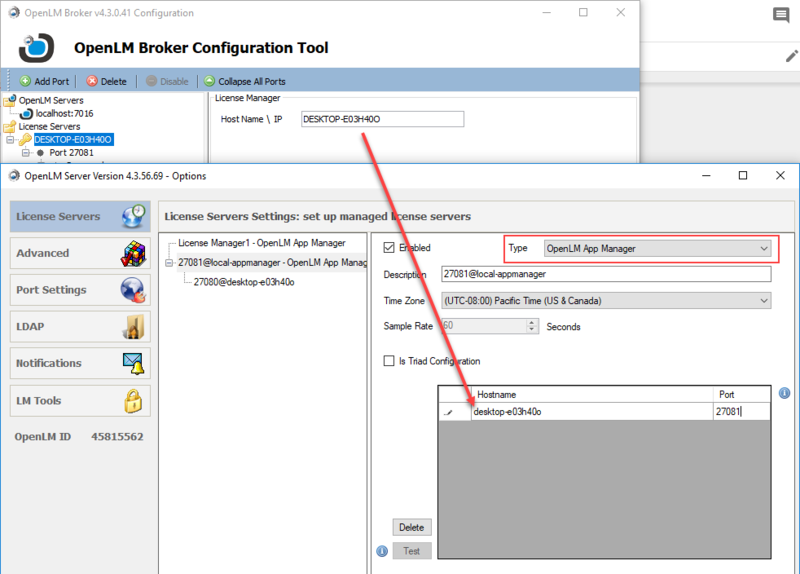 Go to Windows Services and start OpenLM App Manager and OpenLM App Manager2 services. 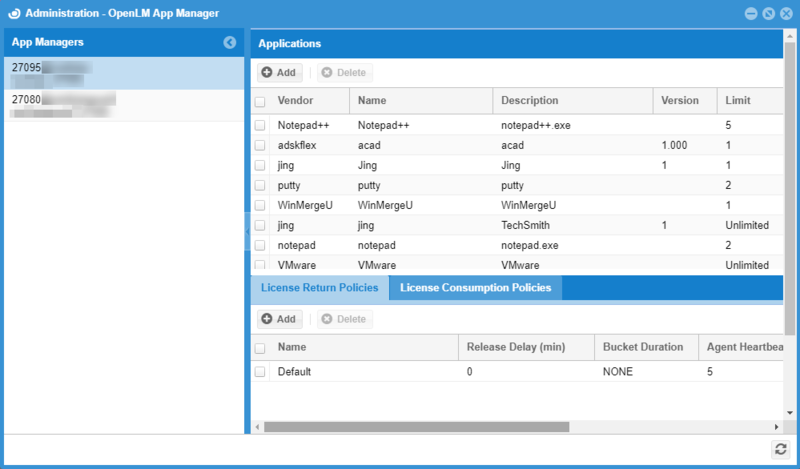 Note: You will also have to copy License file from the original AppManager (C:\Program Files (x86)\OpenLM\OpenLM App Manager\license) into new AppManager…\license folder. Press Apply button and then Restart Broker. 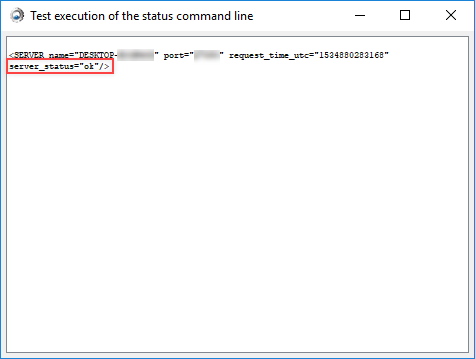 Click on the status command for added port 27081. 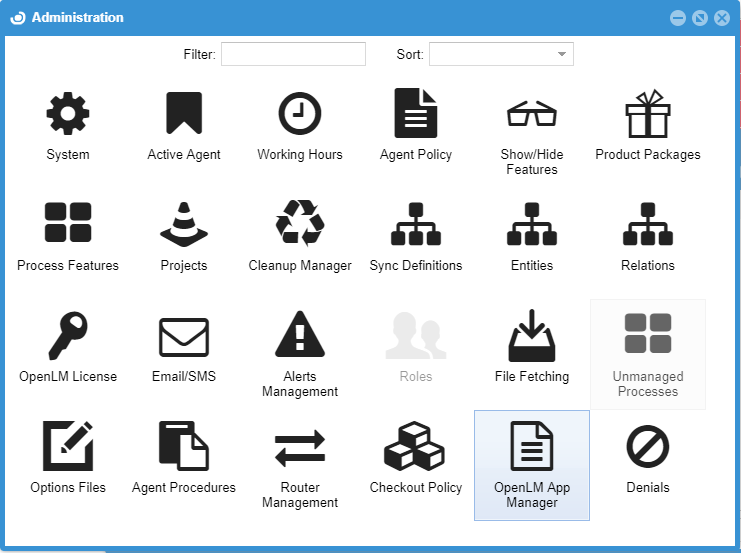 Select OpenLM App Manager type from drop-down menu. 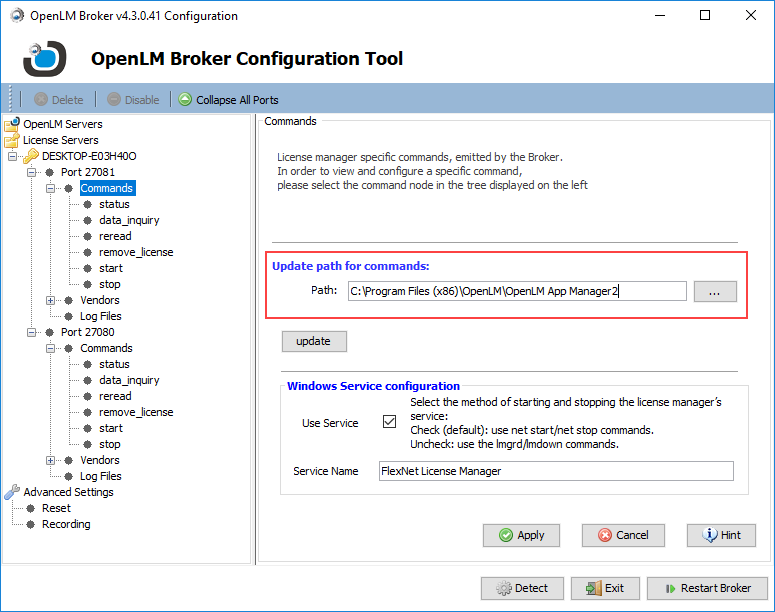 Type in the same Hostname and Port as Host Name/IP and port in OpenLM Broker application and insert Port 27081 (as example). Press Apply button and restart now.